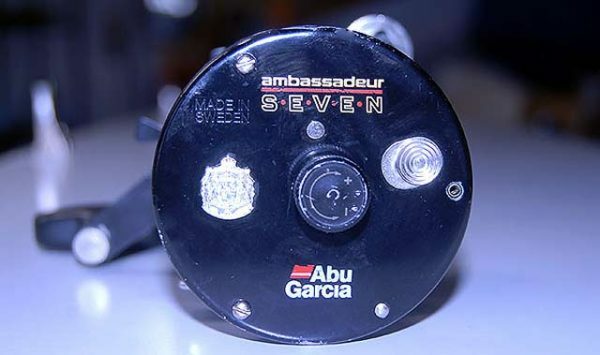 The Abu Garcia Ambassadeur Seven Sprint was a salmon/surf reel that came out in New Zealand during the 1980s. The gear ratio is 6.3:1. which was very high, especially for the time. A disadvantage with older very high-speed bait-casters was they were made with a pinion gear that had fewer teeth than a slower speed reel. A pinion gear with fewer teeth is generally regarded as a weak point more readily prone to wear. With this old Abu Sprint reels the gears would soon run rough compounded by the frame not being strong enough to cope with the forces exerted on it during casting and retrieving. Hence the spool would run out-of-true and wobble slightly. They were eventually phased out and replaced by the 7000 and 7500 series Abu reels. When casting and retrieving it the reel feels very similar to the Abu 7000. The one thing I noticed, however, is that the 6.3:1 retrieve is way faster than the 7000. If you wind flat-out the ticer comes in very quickly! 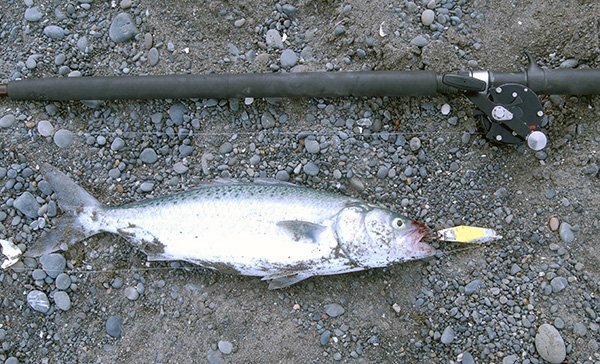 This makes it ideal for kahawai fishing at river mouths. As mentioned above it feels a bit lumpy in the gears, though. Kahawai caught on Abu Seven Sprint bait-caster. The Abu Garcia Ambassadeur Seven Sprint had brass bushings which many anglers replaced with ball bearings to increase casting distance. One good thing is that the Abu Seven uses the same bearings, pawl, and worm gear, together with many, but not all, other parts as the 7000 series reels. So many parts are interchangeable on the left-hand side. The main gear and pinion, of course, are not. 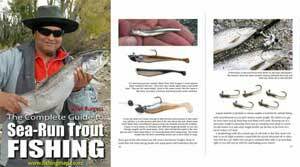 “They are good reels except the frame is not as sturdy as the older 7000’s or 7500’s and if you are capable of really laying into a cast you will eventually bend the frame (shove it sideways relative to the reel foot). It can be bent back into shape when you dismantle the reel. 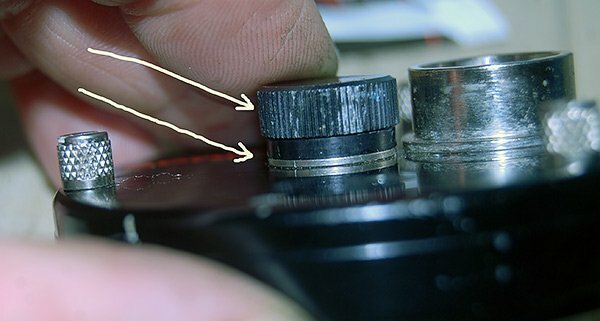 The spool control knobs can bind to the alloy bushing housings (see picture) so they become locked together meaning the spool control knobs can’t be used. “I really appreciate your comments about the Abu Seven. I’ve seen Mark Preston distance casting at the Rakaia River mouth and I agree with you that he is one of the best. I didn’t realize he had used an Abu Seven but I did know he fished a Tricast rod. What you say about the frame on the Seven twisting makes sense. The effect of that occurring would cause the spool to become off-balanced and make it run rough. It may even cause the edges of the spool to scrape the frame. Abu Garcia Ambassadeur Seven Sprint end plate (left side). 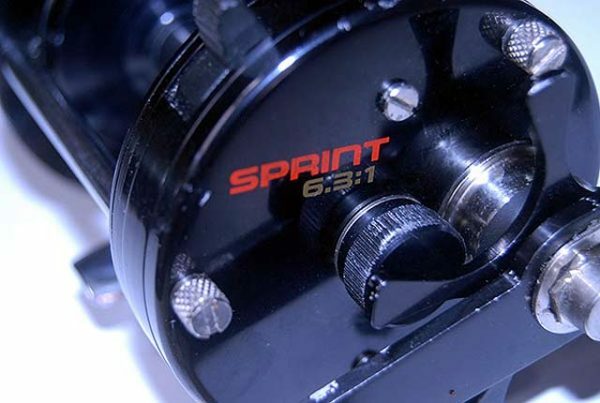 Abu Garcia Ambassadeur Seven Sprint is a handsome looking bait-caster reel. The Abu Ambassadeur Seven Sprint was a good salmon reel back in the 1980s used by some of Canterbury’s top anglers. It was made in Sweden. Unfortunately, it is impossible to get parts to restore one of these reels to good running order consequently those that are found will probably have lumpy gears and therefore best avoided if you are wanting it to use for fishing as opposed to an ornament of sentimental value only. 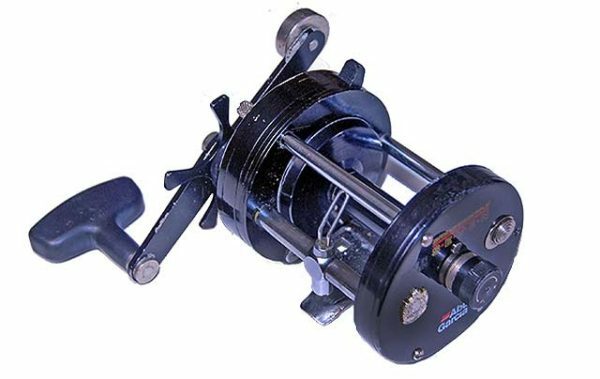 It may be possible to source parts for an Abu Seven Sprint from overseas but I felt that this would be uneconomic given that I wanted to use the reel for fishing and might quite possibly end up with the same problems again from doing so. Whereas a rough Abu Garcia Ambassadeur 6500, 7000 or 7500 can readily be repaired to as new condition with parts that are inexpensive and widely available in New Zealand.